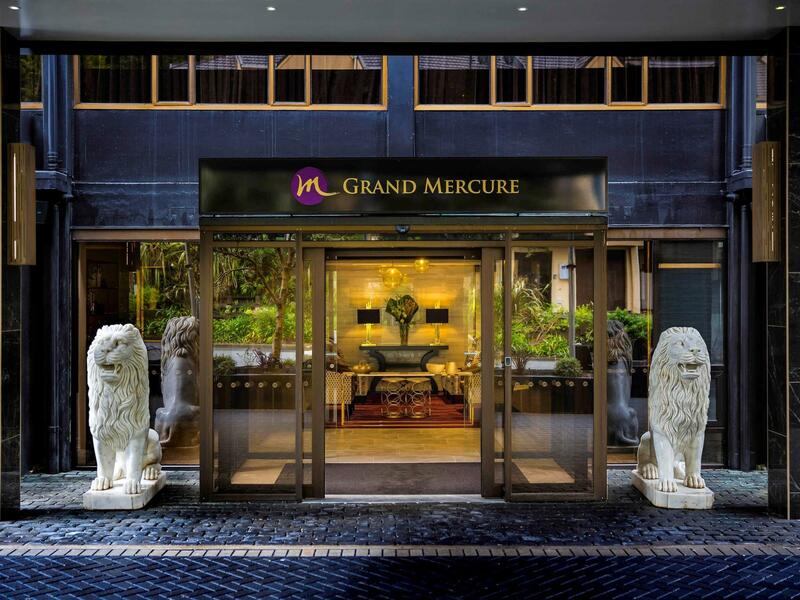 يقع Grand Mercure Wellington في منطقة مشهورة للغاية في المدينة. هذا الفندق هو من الخيارات الشائع بين المسافرين. يقع مركز المدينة المثير على بعد 1. Km فقط. كما يمكن الوصول بسهولة إلى عدة معالم سياحية قريبة. يعرف Accor Hotels بالمستوى الراقي لخدماته ولباقة موظفيه، وهذا ما ستجده في Grand Mercure Wellington. لضمان راحة ضيوفه، يقدم الفندق الخدمات التالية: خدمة الغرف على مدار الساعة, مكتب الاستقبال على مدار الساعة, تخزين الأمتعة, واي فاي في المناطق العامة, صف السيارات . تعكس غرف الفندق البالغ عددها 111 المنتشرة في 9 طوابق جواً من الدفء والألفة.خدمات عصرية مثل تلفزيون بشاشة مسطحة, سجاد, قهوة فورية مجانية, شاي مجاني, بياضات موجودة في بعض الغرف المختارة. كما أن مجموعة الخدمات الواسعة الموجودة في الفندق لضمان راحتك تترك لك الكثير من الخيارات لقضاء وقتك أثناء فترة إقامتك. إن Grand Mercure Wellington هو مكان مثالي للمسافرين الذين يتطلعون إلى الراحة والاستجمام في المدينة. I've stayed at Grand Mercure a few times now and I love it. The staff are all really welcoming and helpful, rooms are clean and comfortable, the food is excellent and I always leave with a smile. Definitely recommended. Exhorbitant price for a room overlooking a car park and into someone else’s house. Considering the price paid and the half empty hotel, I’m confused as to why we are in a basement near the leisure centre on the lowest possible floor. The room has absolutely no soundproofing. All night we heard every car door, room door, people entering the pool, the lifts, people talking in their room and even walking on the floor above us. It was constant. At 7am the room above us started getting maintenance and the endless drilling and banging began. The shower is higher than the rest of the room, so water runs down into the cupboard sized bathroom. The glass bathroom “door” jams closed and can only be opened from the outside. The mirror is like one of those you’d find in a circus side alley. Not usable. You also can’t open the door to enter the room more than half way as it hits the glass bathroom door. The heating is loud, clunky and takes forever to heat the tiny room. Nothing “grand” here. It is, by far, the worst experience I have had in a hotel. An extremely regrettable choice with not a single redeeming quality. It's useful to know that around the hotel there is nothing, it's a rather residential area and it is on a hill so if you are not exactly a walker won't be ideal as you are forced to use a car, however is rather central. Pleasant stay overall, bed quite comfortable, staff helpful. Great views, wind noise can make sleep hard when it is really blowing. Staff are great and nothing is too much trouble. 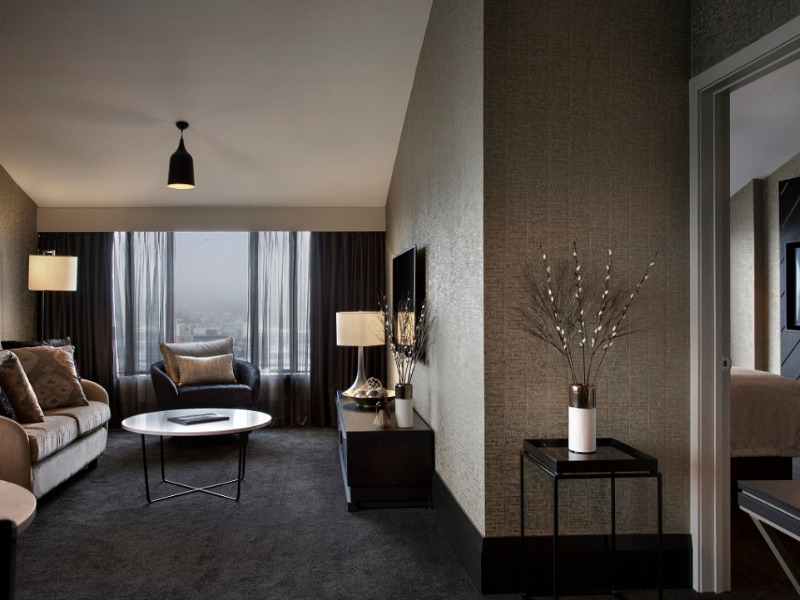 Rooms are average size , compact but thoughtful fit out compensates. A bit further to walk the CBD and other sites than other hotels. This hotel is tucked away on the edge of the busy main areas of Wellington, and it's just a quick 5-10 mins and you will be in Cuba street. I liked that the hotel was tucked away, as it felt very peaceful and calm. The decor was charming and the staff were all great to deal with. The rooms were clean and welcoming after a long day at work, it felt like a nice little luxury to escape the busy day in the quiet room. you need to find the right way to walk to town... otherwise it is a long climb uphill. Lovely hotel. Swimming and leisure facilities excellent. Room lovely however practicality of see through glass bathroom door questionable. Logan Brown very close proximity, Havana bar & Restaurant, this was my favourite, easy walking to Cuba street, then down to Te Papa, Gallipoli exhibition was incredible. We took an Uber out to Maranui Cafe at Lyall Bay, exceptional breakfast, brunch food and the salads looked devine. Jumped in another cab to go to Weta Workshop, we did one tour $28 or you can opt to do 2 tours for $45, one was fab, really pleased we did the tour and they have a free video running which is really information you can watch in the cave. Birthday dinner at Ortega fish shack, this was the highlight, amazing food, great service and a wee pernod with great red wine. This place is a must for your visit to Wellington. Our hotel has a great pool/gym area and Sauna. The front reception area is nice to sit and read the paper, definitely come back again for a stay. Great location short walk to fabulous Cuba Street. Very helpful staff but suggest you warn guests about dopey light switch system which means if you turn off lights from central switch when going to sleep the bathroom lights then don't work. Also glass door and hole instead of handle to bathroom probably very trendy but absolutely no sound proofing . Not ideal. The breakfast was average for the price . We felt this was the only area that could be improved . Grand Mercure is a really nice hotel that is really clean, well designed & easily orientated, it is close to town & tourist spots. We parked there expecting to pay a parking fee, it turned out to be free of charge as our vehicle is a hybrid car and they support eco-friendly cars. This hotel had the most comfortable bed and pillows! It’s conveniently located at the end of the Main Street even though it looks like it sits on the outskirts of town, it isn’t. This hotel is a great place to base yourself for a stay in Wellington. Lovely hotel, clean and fresh and staff was very friendly and helpful. Love the interior of the hotel. Clean room and helpful staff. Would have been handy to have lift working. Staff were awesome.